A collection of new and selected works from a prize-winning poet known to bear compassionate and ruthless witness to the quotidian. 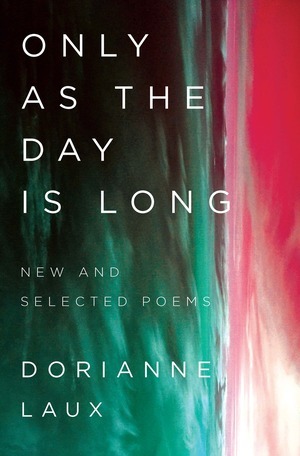 Only as the Day Is Long represents a brilliant, daring body of work from one of our boldest contemporary poets, known to bear compassionate and ruthless witness to the quotidian. Drawn from Dorianne Laux’s five expansive volumes, including her confident debut Awake, National Book Critics Circle Finalist What We Carry, and Paterson Prize–winning The Book of Men, the poems in this collection have been "brought to the hard edge of meaning" (B. H. Fairchild) and praised for their "enormous precision and beauty" (Philip Levine). Twenty new odes pay homage to Laux’s mother, an ordinary and extraordinary woman of the Depression era. The wealth of her life experience finds expression in Laux’s earthy and lyrical depictions of working-class America, full of the dirt and mess of real life. From the opening poem, "Two Pictures of My Sister," to the last, "Letter to My Dead Mother," she writes, in her words, of "living gristle" with a perceptive frankness that is luminous in its specificity and universal in its appeal. Exploring experiences of survival and healing, of sexual love and celebration, Only as the Day Is Long shows Laux at the height of her powers.